Fish recipes are something that I lately ventured into that thanks to my brother whom gets the fish and I have no choice but to make it. 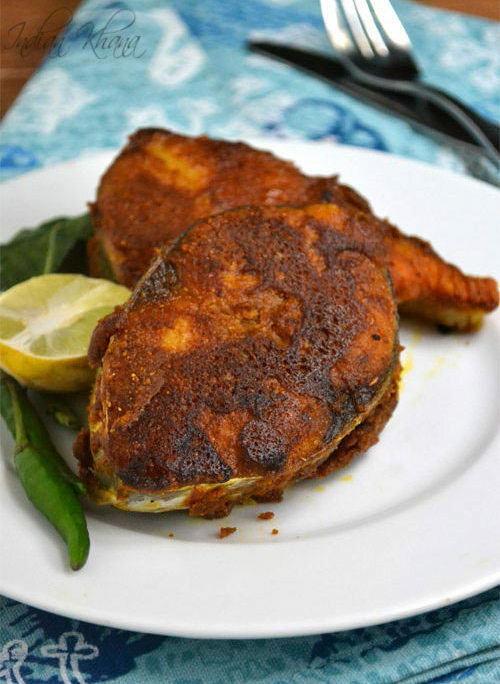 Generally I like to make different fish curry as it's easy task for me and doesn't have to cook much but my brother gets bored of only fish in gravy and ask me to make fish fry, normally I do South Indian style Fish Fry or Meen Varuval as it's called but this time I tried it something different and added besan (chickpeas flour) and other spices to make this fish fry in Northern style as it's called Besan Ki Fish Fry or Besan Ka Macchi. The best part is it works as a side or even as a starter, you can also use small fish fillet and deep fry or shallow fry to make it as finger food, a great choice for party or potluck or just do as I did and still use it as snack or starter or as a side the choice is yours. 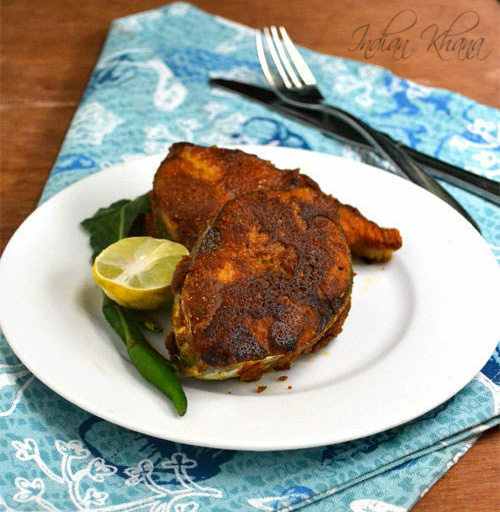 This is something similar to Amrisari Fish Fry which normally served as finger food in that few more ingredients are added and it's deep fried. 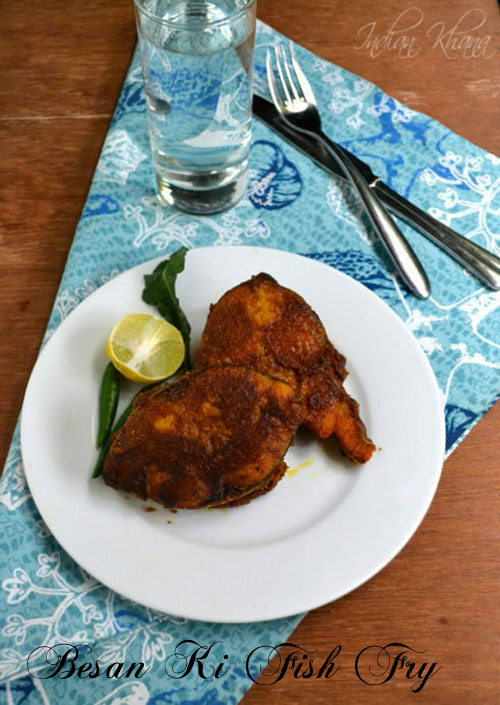 This fish fry is pan fried with minimal oil but it's still as crunchy crust and it taste delicious it's better than meen varuval my brother says. Do give a try and you will like it too. 1. Clean and rinse fish well and keep aside. 2. Mix all the ingredients listed under 'To Marniate' together in a small bowl into smooth paste, use little water if required. 3. 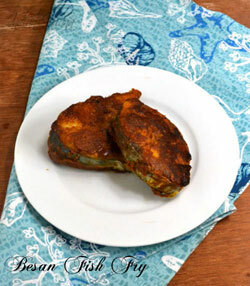 Apply prepared paste all over fish fillets and let it marinate for atleast 15 minutes or more if you can. 4. Heat a pan or griller/tawa and grizzle little oil place fish pieces and cook in slow to medium flame until golden brown. 5. Drizzle more oil over fish corners and turn fish pieces to cook another side until golden brown or fish get's fully cooked. Serve hot as a starter or as side.